Pre-service and beginning teachers have to negotiate an unfamiliar and often challenging working environment, in both teaching spaces and staff spaces. Workplace Learning in Physical Education explores the workplace of teaching as a site of professional learning. Using stories and narratives from the experiences of pre-service and beginning teachers, the book takes a closer look at how professional knowledge is developed by investigating the notions of ‘professional’ and ‘workplace learning’ by drawing on data from a five year project. The book also critically examines the literature associated with, and the rhetoric that surrounds ‘the practicum’, ‘fieldwork’ ‘school experience’ and the ‘induction year’. As well as identifying important implications for policy, practice and research methodology in physical education and teacher education, the book also shows how research can be a powerful medium for the communication of good practice. 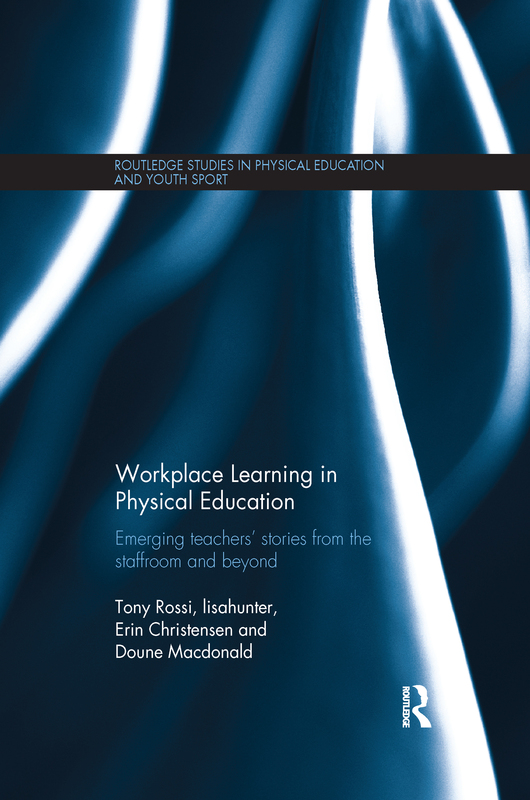 This is an important book for all students, pre-service and beginning teachers working in physical education, for academics researching teacher workspaces, and for anybody with an interest in the wider themes of teacher education, professional practice and professional learning in the workplace.